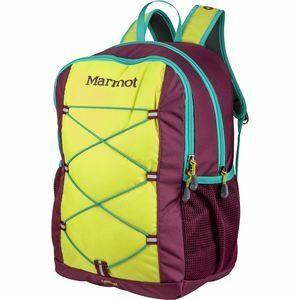 When your bookworm is hauling his weight in paperbacks to school, reach for the Marmot Kids' Arbor Backpack to help him carry his haul comfortably. This backpack features a classic design with its kid-friendly, recycled ripstop fabric, while two zippered compartments accommodate a day's worth of necessities. The padded laptop sleeve is designed to fit a 15-inch laptop, and also doubles as a hydration sleeve when your bookworm takes his biology work to the trails in the summer time. Posted 11 months ago for $24.73, 55% off!